Bulding the Fall is an explorative theatre project on the forms and qualities of relations between an individual and the system. Starting point for the work will be personal experience of the participants. It will be invastigation on feeling and situations of power demonstration, fear, loneliness, leadership, nontolerancy but also of the hope and searching for freedom of living. The workshops which will take place will give the opportunity to all the participants to find and create their own authentic way of expression. 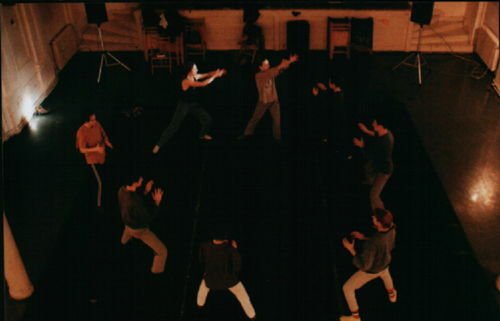 By this we mean the use of theatrical form as an instrument and form in which the performer will put their own experience. The workshop process will be finished with a public presentation. Paralelly with the workshop process a realization of the “Fall” performance will be ran, as the “crown” of the whole process and project. 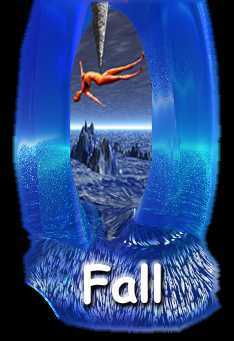 Authors and performance of the “Fall” performance are Dejan Garbos, Dragana Alfirevic and Rodrigo S. de Carvalho. Date of presentation will be on 25. March at 20:00h, in Cinema Rex, Jevrejska 16.